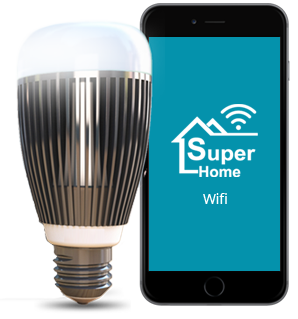 Super Home smart LED bulbs has two ranges Wifi and Bluetooth, you can find links below to respective sites. 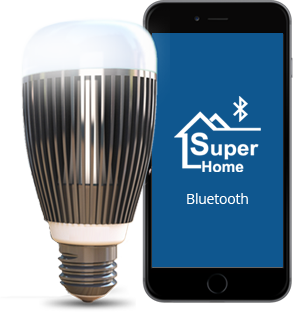 Use your smartphone or tablet to control your lights and other home electronics from anywhere through internet. Now you can control one bulb up to multiple bulbs. It is through Bluetooth you do not need Internet connection.